The public consultation regarding proposed changes to Council’s Plan of Management in relation to the Council-owned portion of Chatswood Golf Club has now been completed. The plan is now recommended for approval. There were 22 submissions on the plan. NEW SPORTS OVALS (? ): Two submissions argued for not renewing the lease but to develop the land as a sports oval. This proposal was not supported by Council officers. RAIL TO RIVER WALK: A portion of the planned Rail to River Walk needs to cross Golf Club private property. The Golf Club and Council are currently negotiating a Memorandum of Understanding in relation to this matter. It is proposed that the Memorandum will be finalised prior to enacting the new lease. 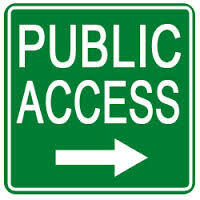 PUBLIC ACCESS ACROSS COURSE: Council is working with the Club to ensure appropriate public access across the course. This might require the redesign of parts of the course.